February 9 is National Pizza Pie Day in the United States, but it looks like our neighbors to the north have started the celebration early. Everyone knows the last slice is the most valuable slice, and it's worth fighting for if you truly love pizza. 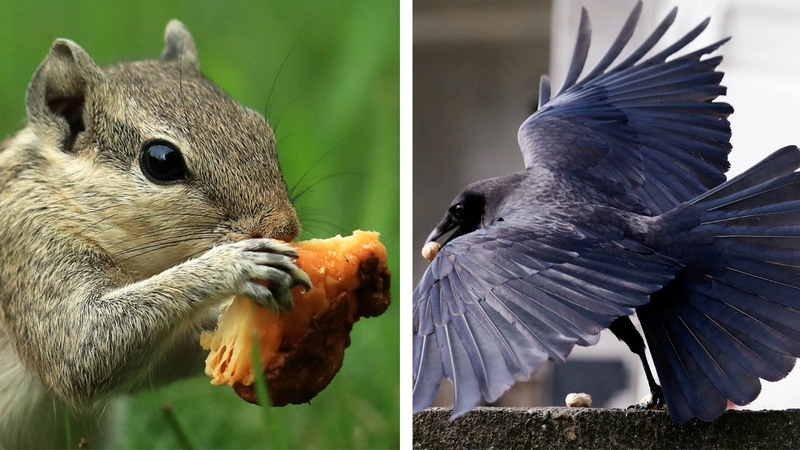 One lucky squirrel hit the jackpot after finding a stray slice of pizza on a street in Nova Scotia, but a thieving crow swooped in to swipe the newfound snack out of its grasp. Like any last slice battle, it came down to who really wanted it more. The squirrel hid under a car, made a break for it, and even dropped the slice to charge the crow at one point.